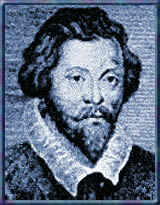 Known as "Brittanic Music Parens" in his own time, William Byrd is still esteemed as such in the hearts and minds of performers and listeners of our own day. After studying music with the illustrious Thomas Tallis in London, Byrd assumed his first professional position - the post of organist and choirmaster at Lincoln Cathedral in 1563. In 1570, he was sworn in as a Gentleman of the Chapel Royal replacing the recently deceased Robert Parsons and by 1572 was sharing responsibilities as organist of the chapel with the aging Tallis. Teacher and pupil also enjoyed a royal monopoly on music printing in England during the last quarter of the 16th century and together were responsible for the first printed collection of sacred polyphony in England, the Cantiones, qu ab argumento sacr of 1575, an artistic success but, regrettably, a financial disappointment. A devout Catholic, Byrd continued to publish much Latin church music at a time that did not favor its commercial prospects or the personal safety of its composer. Evidently, Byrd continued to enjoy the favor and protection of Queen Elizabeth I and largely escaped prosecution for his recusant activities, though friends and colleagues, and even members of his own family, were not always so fortunate.